Quilt by Ulrike Roider from Quilting Big Projects on a Small Machine Class on Craftsy. 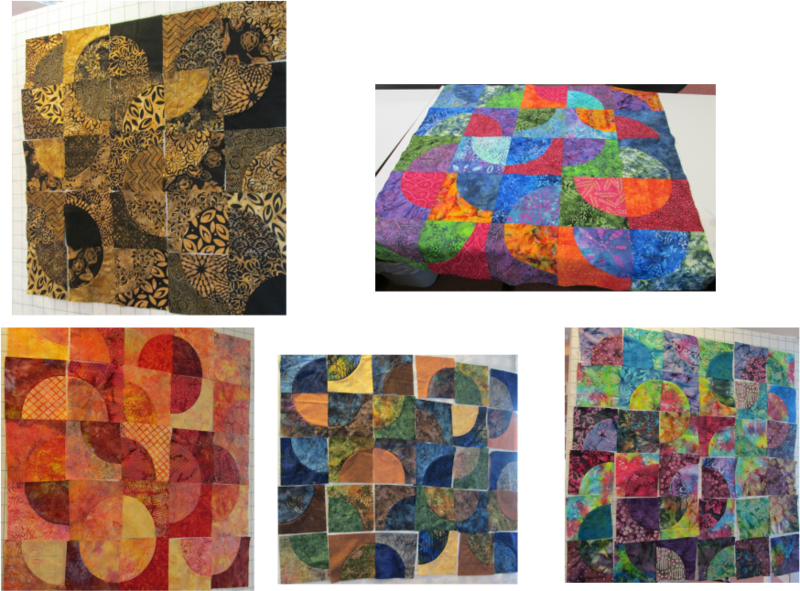 Very nice quilting choices! Lone Star by Sharon Bordenkircher. 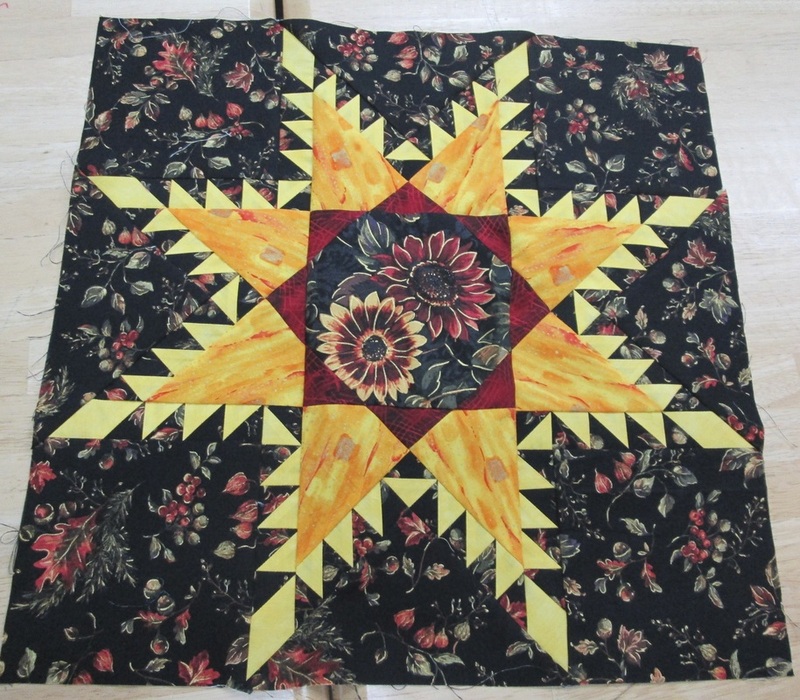 She started this in a class at Sun Valley Quilts in 2014 based on Marsha McCloskey Feather Star block. Amazing colors and stunning quilting. Sharon lives in Gardenerville, NV. Going in Circles from Sharon Bordenkircher of Gardnerville, NV as shown at the Rim Country Quilt Roundup on October 15, 16, 2016. 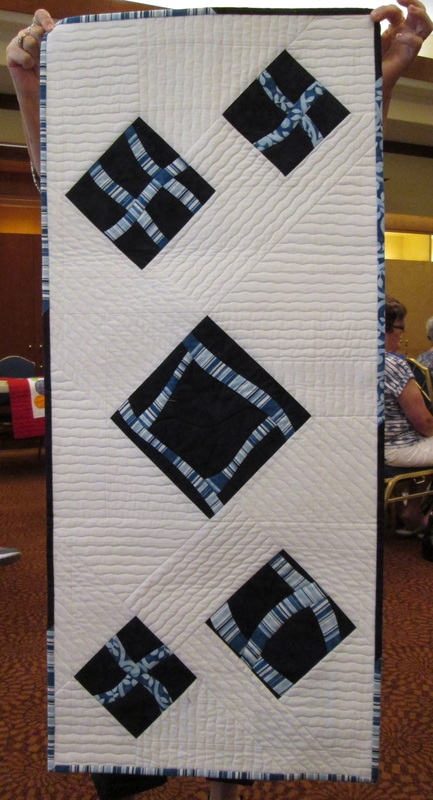 Sharon took my Playing with Curves Class at Sun Valley Quilts in 2014 (also available in my Playing with Curves Craftsy class) and made this stunning quilt. 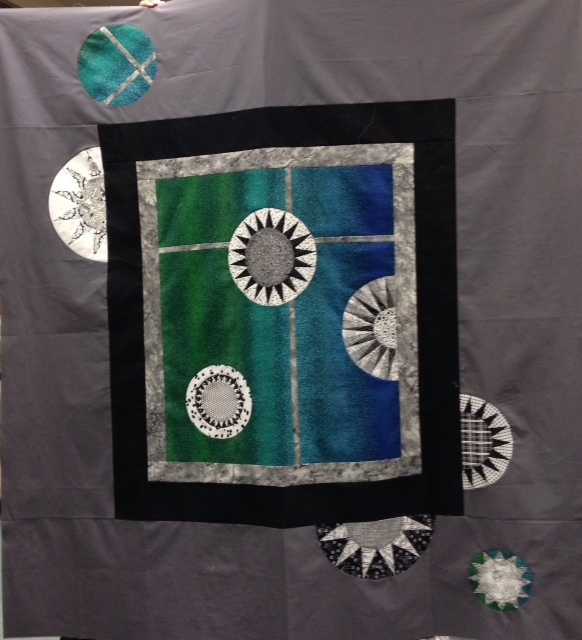 A lovely version of the Mini Licorice Garden Quilt from a workshop taught at Columbine Quilt Guild in Arvada, Colorado. Members of a bee took the class and made the flowers and inset them into the black and white pieced background. Joan Duncan quilted it and she used the Quilted Lace Border from Beyond Basic Machine Quilting (Craftsy class) (and from the original Licorice Star Garden. Members are Joan Duncan, Sheila Kemp, Alice Sharp, Sharon Kent, Susan Kent, Marcie Emily, Marianne Holmes and Mary Bohn. Very effective job ladies! This tree skirt was made by Dorothy Johnson from tutorial on this website (under the "more..." tab). Such lovely colors and she added a collar to really effectively hide the tree stand! Debbie Schuster's wonderful tote bag! She did this in the Mini Star Garden Workshop and did such a great job. And then turned it into a very cool tote bag! 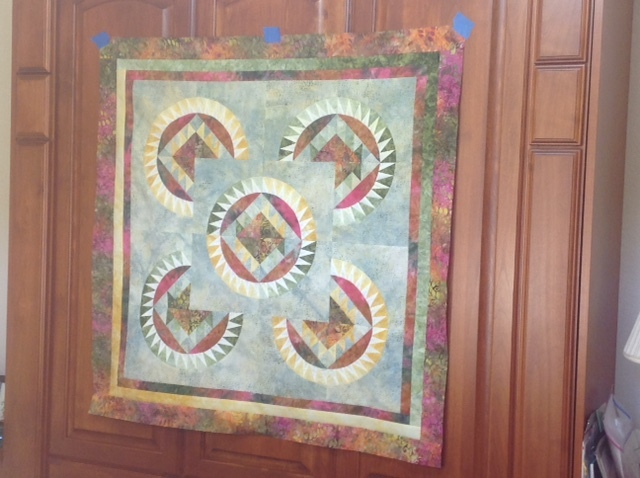 Martha Everett's fun quilt top from Mini Star Garden class at Wooden Spools. Marcia Koester's excitingly original quilt top from my Mini Star Garden Class at Wooden Spools. Bev Hull made this stunning version of my Ice Sawblades pattern in the same Rapid City class in 2014 as Linda York's. Wonderful setting. Tonya Messenger with her quilt from my Mini Starflower Workshop. Wonderful and unusual choice of fabrics! 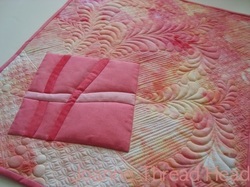 This is a quilt from Castafior who took my Playing with Curves class on Craftsy. Lovely job!